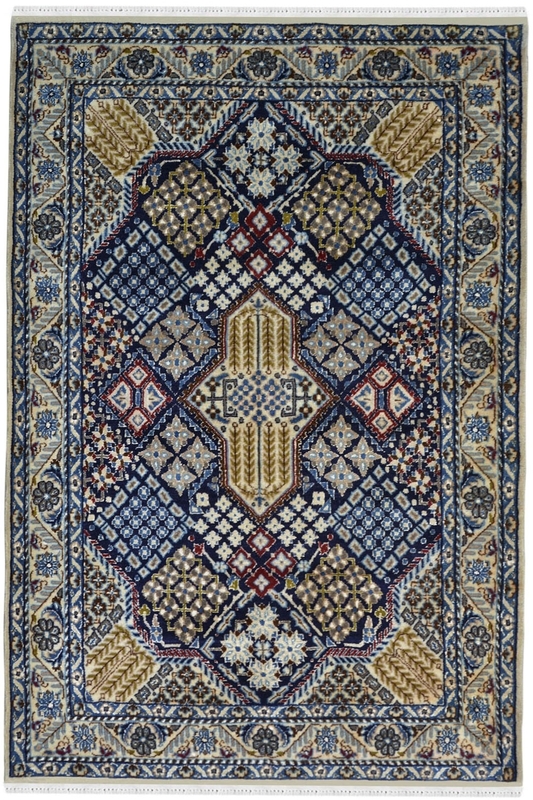 This Stunning carpet is totally handwoven in finest quality of wool and cotton material by our talented weavers. This is ideal for the living room with minimum furniture. - Decorate your home with one of a kind handmade afghan carpet which is woven in finest quality of wool and cotton material. - Warp is in cotton and weft is in wool. The ratio of wool and cotton is 80% and 20%. - This is 100% hand washable carpets. - This is 100% hand woven carpet and woven on a hand loom. - It has taken 6-7 months to weave. - The ground of this carpet contains multiple diamond shapes and each box is filled with floral tiny patterns.